This 5-day course will identify practices that will enhance business analysis performance through academic study and provide an opportunity to achieve success as a Business Analyst, gaining real-life experiences by applying their new skills. Each BABOK® knowledge area will be covered by trained consultants who will also provide assistance to prepare for IIBA certification (ECBA, CCBA and CBAP level) and provide PDU and CDU points, if required. The primary objective of the course is to increase the awareness of business analysis skills and provide a set of commonly accepted practices. This will support business analysts in discussing and defining the skills necessary to effectively perform business analysis work. Working with the BABOK® Guide will help students to understand the skills and knowledge they should expect from a skilled practitioner. The BABOK® Version 3 Introduction course will provide exposure to core content of the BABOK® Guide which is composed of business analysis tasks organized into knowledge areas. Knowledge areas are a collection of logically (but not sequentially) related tasks. These tasks describe specific activities that accomplish the purpose of their associated knowledge area. Provide a description of the behaviours, characteristics, knowledge, and personal qualities that support the effective practice of business analysis. address that need, and align the resulting strategy for the change with higher- and lower-level strategies. 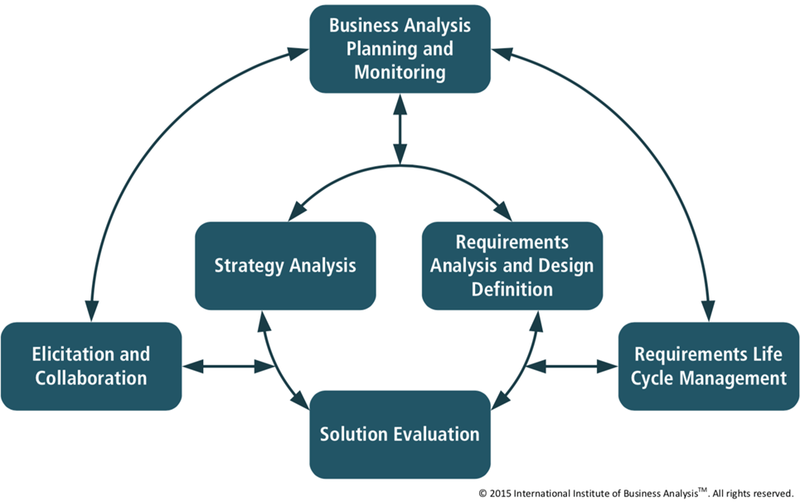 Describes the tasks that business analysts perform to structure and organize requirements discovered during elicitation activities, specify and model requirements and designs, validate and verify information, identify solution options that meet business needs, and estimate the potential value that could be realized for each solution option. This knowledge area covers the incremental and iterative activities ranging from the initial concept and exploration of the need through the transformation of those needs into a particular recommended solution. Describes the tasks that business analysts perform to assess the performance of and value delivered by a solution in use by the enterprise, and to recommend removal of barriers or constraints that prevent the full realization of the value. Describes the tasks that business analysts perform to organize and coordinate the efforts of business analysts and stakeholders. These tasks produce outputs that are used as key inputs and guidelines for the other tasks throughout the BABOK® Guide. describes the tasks that business analysts perform to prepare for and conduct elicitation activities and confirm the results obtained. It also describes the communication with stakeholders once the business analysis information is assembled and the ongoing collaboration with them throughout the business analysis activities. Describes the tasks that business analysts perform in order to manage and maintain requirements and design information from inception to retirement. These tasks describe establishing meaningful relationships between related requirements and designs, and assessing, analyzing and gaining consensus on proposed changes to requirements and designs. The Certified Business Analysis Professional™ (CBAP®) designation is a professional certification for individuals with extensive business analysis (BA) experience. With a minimum of 7500 hours of hands-on BA experience, CBAP® recipients are the elite, senior members of the BA community.